It’s Monday, and since I know how we all feel about that, I’m bringing pie to the table. You can bring the coffee, yes? I’m not much of a pie baker but I certainly have always been a pie eater. Key lime, lemon meringue and apple pies used to always be among my favorites, and while I still carry a pie-shaped torch for them, my heart now fully belongs to strawberry rhubarb pie. I have my husband’s grandma to thank for that. See, she was the first one to serve me homemade strawberry rhubarb pie a few years ago — one of her specialties — and it was love at first bite. Tart, tangy, sweet, all tucked inside a buttery crust — it’s everything I ever wanted in a pie and I just didn’t know it existed yet. Now that I am enlightened, I still enjoy other pie fillings, but this one will always be my go-to when it is available. Springtime, of course, makes this filling even more accessible and delicious, now that rhubarb is back in season and strawberries are not far behind. And thankfully, a perfectly flaky, buttery pie crust is always in season. 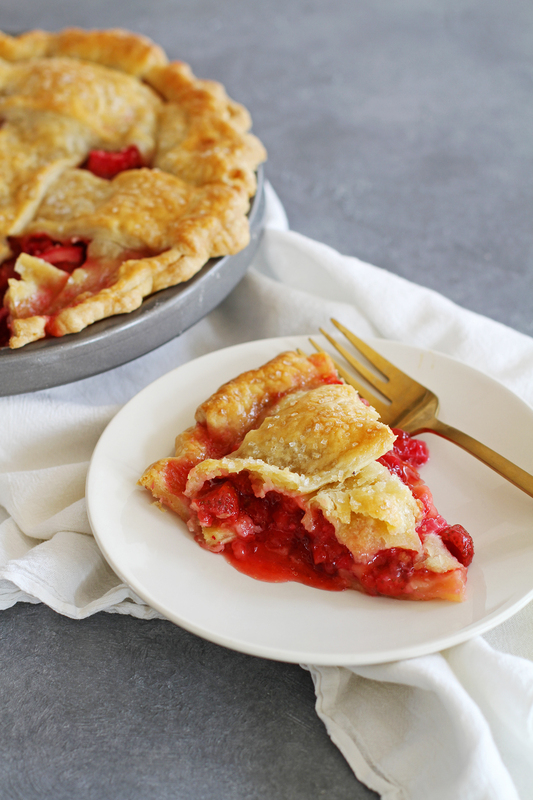 Today, I’m sharing all of my pie-baking secrets — and a recipe for this strawberry rhubarb pie with an all-butter crust — over on the KitchenAid blog. So head over there to learn all about it. 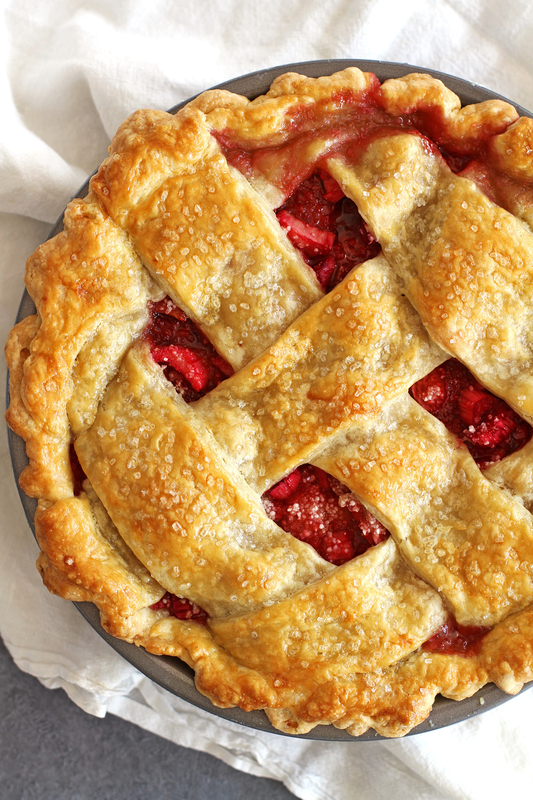 Extra credit if you decide to bake a pie today (hint: I think you should). So pretty, love that flaky crust! Strawberry rhubarb is my favorite! Yours looks perfect! What a stunning pie! All the goodness of early spring in one juicy slice! what an absolutely beautiful looking pie! Heading over to get the recipe! Samina — Thank you so much! Stephanie, also wonderful is strawberry rhubarb sauce which my grandmother canned and offered served over vanilla ice cream. Also wonderful on waffles or pancakes….mmmmm.